The countdown to Christmas is upon us, so if you're running around like a mad hatter in need of some quick beauty fixes for an important party or evening out, this is the post for you! 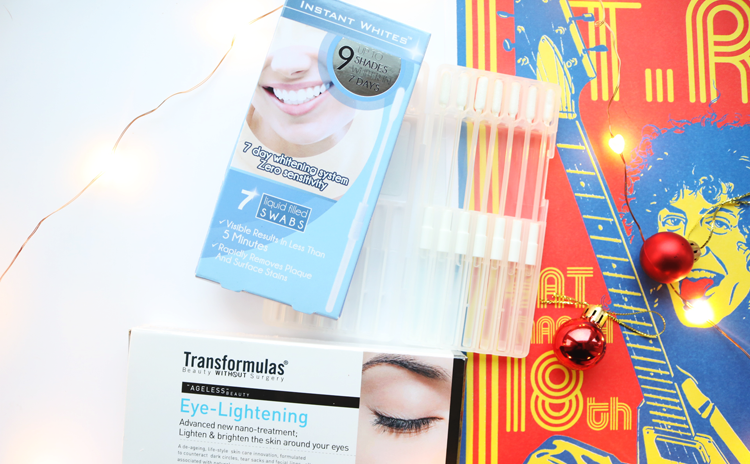 If you want a noticeably whiter smile for the holidays but are on a budget and short on time, try something like Instant Whites 7 Day Whitening System* (£30, link). This super easy to use, teeth whitening kit has seven pre-filled liquid swabs that you simply rub over teeth to remove plaque and surface stains in five minutes. It's peroxide free so it won't give you a Tippex-white smile, but this means it's a great option for people who have sensitive teeth like I do because it's not going to cause you any pain! You can use a swab a day for a week to go up to nine shades whiter, or you can use a swab as a quick fix top up as and when you want to use it for a subtle, but noticeable difference. I really like these because they don't hurt my teeth, and the swabs allow you to fully control where you apply it, rather than relying on mouth guards that are uncomfortable to wear or don't fit properly. It also doesn't have any weird, bleach/chemical taste (it's more like regular toothpaste IMO but less minty) which is another bonus in my book. Been burning the candle at both ends recently? Although it's not technically a quick fix as the results are apparently better the longer you use it, I've been testing out Transformulas Eye-Lightening Serum* (£29.95, link) for only five days now and I've already seen a subtle difference which is pretty impressive because eye serums and treatments usually only give me noticeable results after using them for at least a month. This one's packaged in a metallic silver tube with a slim lipgloss style applicator, and feels like a light gel-serum in texture. When I apply it, it absorbs quickly with a little tightening effect and helps to smooth and firm any fine lines immediately. The biggest difference I've seen is with puffiness though as this helps to de-puff tired eye bags in the morning like no-one's business! Longer term usage promises to lighten up dark circles so I'll report back at a later date with my thoughts on that aspect. 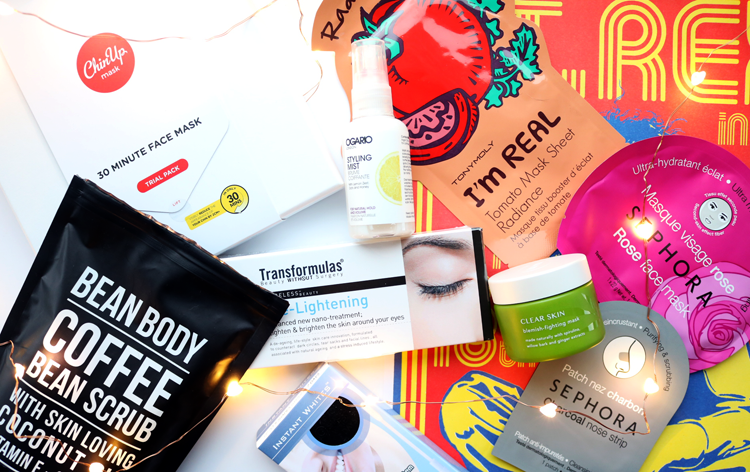 Face masks are my ultimate quick beauty fix, and if I only do one thing the night before a big party, slapping on a face mask will be at the top of the list. Have a look in the mirror and give your face a good once over. What does it look and feel like? 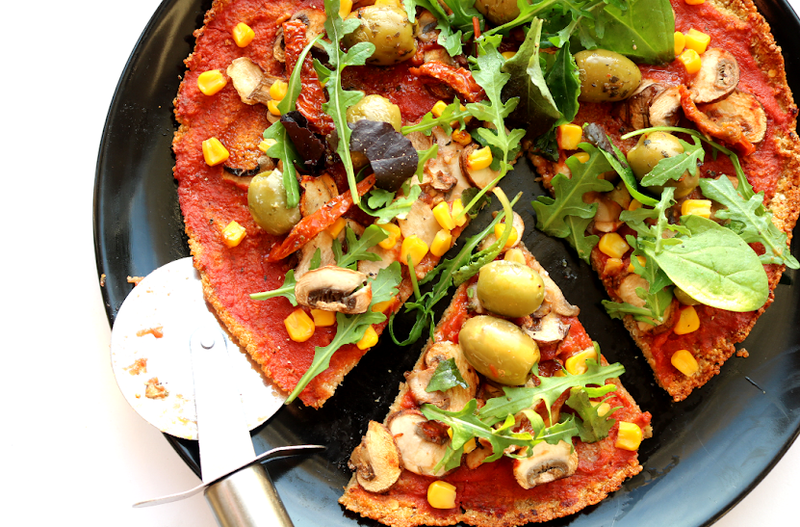 Dry, dull, oily, congested? Choose a mask to suit and before you know it, you'll be feeling like a million dollars. 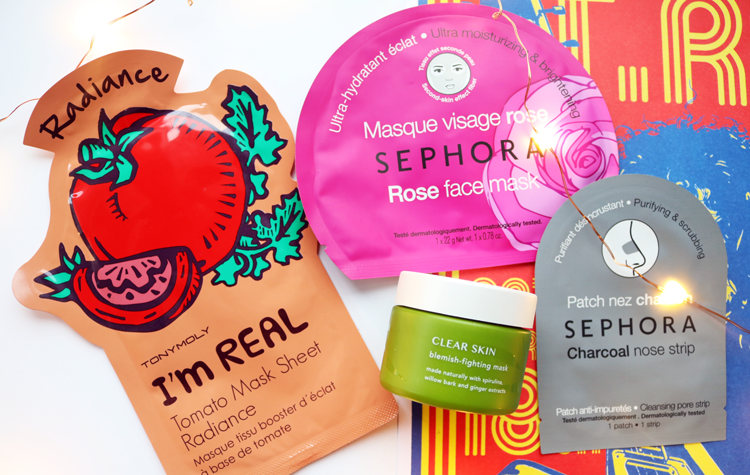 As my regular readers will know, I'm a big face mask addict and have a huge stash of different ones, but my current top picks for sheet masks are Tony Moly I'm Real Sheet Mask in Tomato (£6, link) for brightening up dull skin and Sephora Rose Face Mask (£4, link) for hydrating dry and dehydrated skin. Whenever I'm on holiday or basically anywhere remotely near a Sephora, I'll always stock up on their sheet masks and the Rose one is a firm favourite. 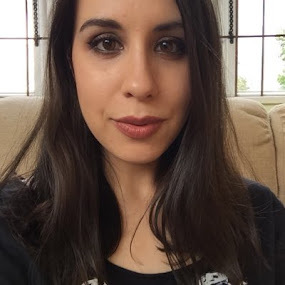 I also like Sephora's Charcoal Nose Strips for an occasional quick fix to remove stubborn blackheads (though I wouldn't advise using these on a regular basis as they are quite strong and stripping on the skin). For oily/blemish-prone complexions, I'd recommend a clay or mud mask to draw out impurities and I've been enjoying using Tropic Skincare Clear Skin Blemish Fighting Mask* (50ml, £16, link) recently to clear up a breakout and it's been very effective for that thanks to a formula that features Green Clay, Willow Bark, Spirulina and Activated Charcoal. It doesn't dry out my skin, but it does get rid of excess oil/dirt/general grime and it unclogs pores a treat. 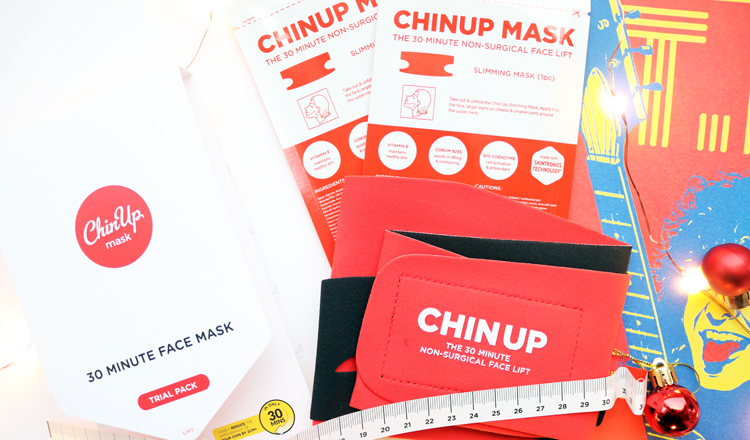 For those seeking a more contoured jawline without piles of makeup or surgery, the ChinUp Mask*(trial pack, £29.95, link) offers the ultimate quick fix for a last minute party or evening out with friends. Their trial pack comes with everything you need for two uses and includes two sachets of a sheet mask-style chin mask, a slimming band and a measuring tape. The mask is pre-soaked in a serum formula which contains key ingredients such as Skintronics (trademarked innovative ingredient to boost collagen and the contouring process), Q10 Co-enzyme (powerful well known antioxidant to stimulate cell renewal), Vitamin E (to smooth, moisturise and improve skin's elasticity), and Corum 9235 (to help the Skintronics ingredient to absorb and aids in fat loss on the chin). To use it, I measured my chin first and then applied the mask over my chin, placing the slimming band over the top and wrapping it around my head (check out this promo vid to see what I mean!). I felt a slight tingling sensation for the first five minutes or so, but this faded quickly and didn't irritate my skin. I left the mask on as instructed for 30 minutes, and then took it off, massaging in a little excess of serum. 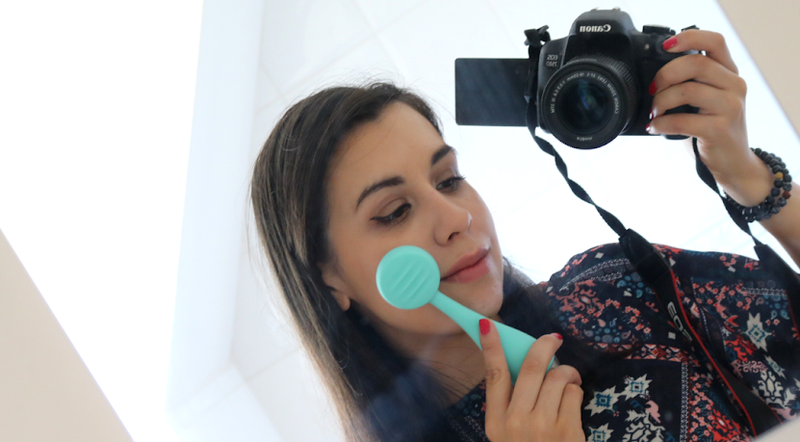 To my surprise as I was very sceptical about whether this would actually work, I re-measured my chin and saw that I'd lost 2cm! I couldn't believe that it had worked and it was really cool to see the difference in a mirror afterwards. The results vary person to person, but 2cm is the average so I was pleased with that. It is temporary though as my chin resumed to its normal size within 48 hours, but for a quick fix, it's definitely worth it! Body scrubs are a perfect quick fix if you want to show off some skin in your new party dress. 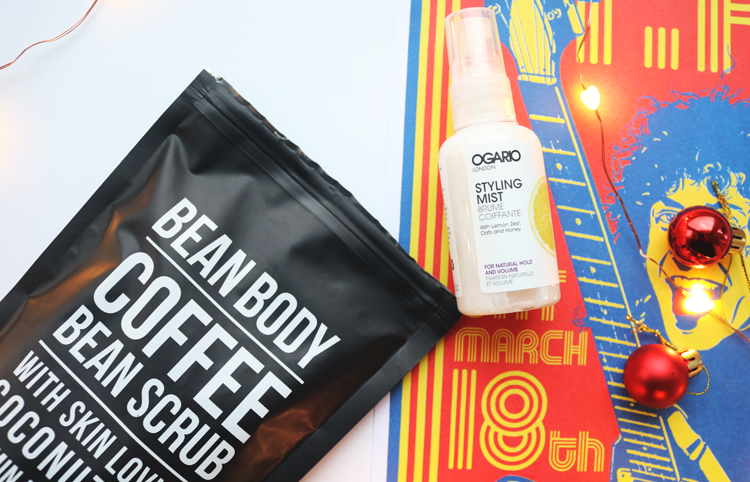 When I'm in the shower, I'll just grab a handful or two of Bean Body Coffee Bean Scrub in Coco Berry* (220g, £14.95, link) and gently exfoliate my arms and legs to shift any dry, dead skin cells for smoother skin afterwards. I find that coffee bean scrubs work well for my sensitive skin because they're only made of a handful of natural ingredients, and the added Coconut Oil adds a much needed moisturising element. These come in a range of different flavours/scents, and Coco Berry has a lovely sweet berry fragrance that isn't overpowering. I'm not the biggest fan of hairspray as most are way too sticky and irritate my sensitive scalp, but I've finally found one that's made from natural ingredients and it doesn't leave any residue build up - hooray! Ogario London Styling Mist* (60ml, £16, link) is a great multi-tasking product because it gives you some volume and texture, banishes frizz and offers some light hold to keep your style in place. It brushes and washes out easily, plus it feels good for my hair with ingredients such as Honey, Vitamin E and Provitamin B5 - what's not to love?! 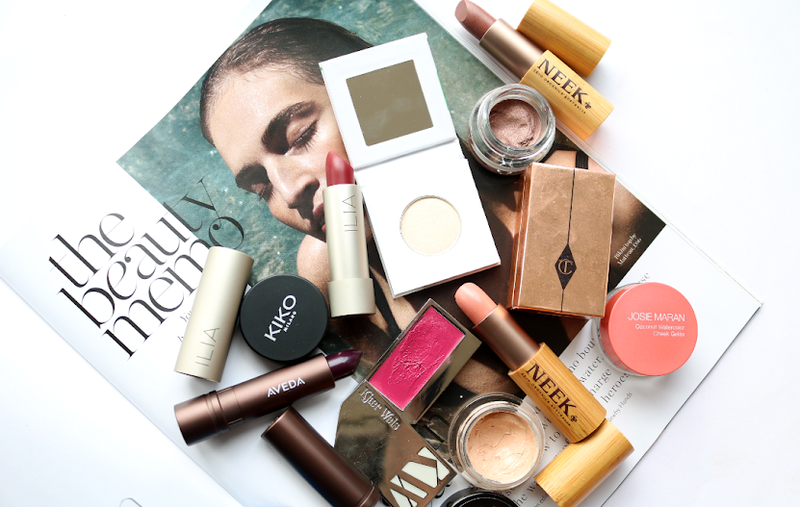 What are your favourite beauty quick fixes?